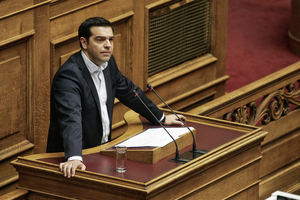 The European: In today’s Europe, borders between member states have been largely abolished. What drew you to them anyway? Evangelista: I am not able to rationalize it. I have always been interested in situations where something seems not to be in the correct place. So as a photographer, I tend to cover thing the natural and the artificial come together and stand in conflict. The European: State lines are very random, particularly in the middle of the countryside. The European: When children look at the world, they sometimes see things more logically than adults, because they aren’t yet aware of the complicated rules governing our actions. Evangelista: Exactly! But they also make mistakes: There is a tale by the Spanish writer Enrique Villa-Matas, in which a child crosses a border for the first time and wonders why there is no line on the ground, as on all the maps. 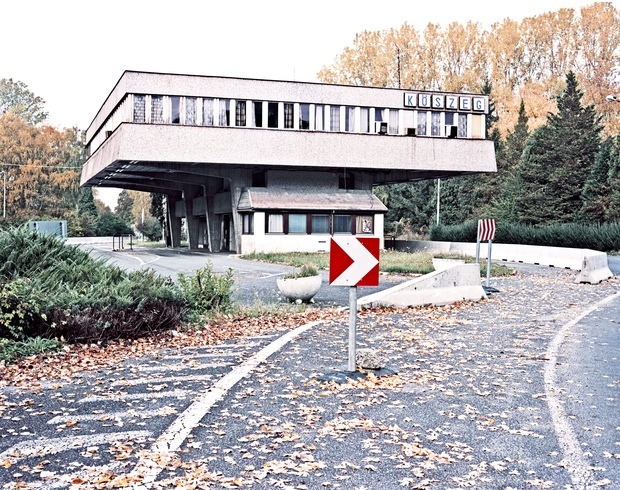 The European: Do remember your first border crossing? Evangelista: I do: It was a during a school trip and I must have been fifteen or fourteen years old. We crossed the border between Spain and France and I was very excited because I wondered if the airs smelled differently or if the floor would feel differently. Of course nothing like that happened. 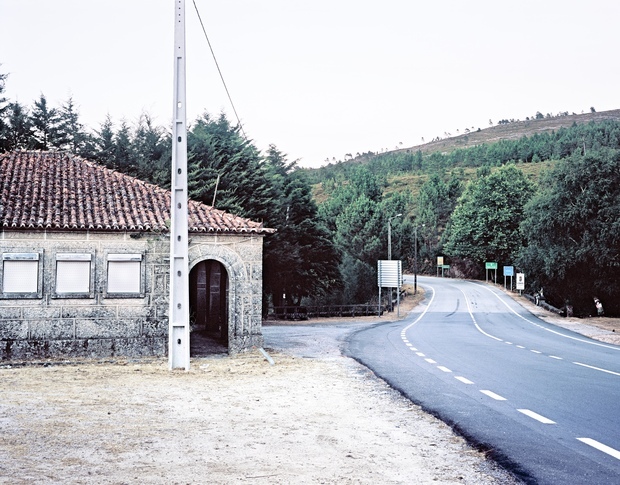 Border between Lindoso and Aceredo (Portugal/Spain). Copyright Ignacio Evangelista. The European: You have done a lot of work about borders, be it the one between European states or the heavily-fortified wall between the United States and Mexico. Do you still feel any excitement today when you cross a border? Evangelista: Not so much anymore, because I have crossed many borders. But sometimes, I play around a little: When you can see a marked line, I put one food on each side or step from one side to the other and think “Now I’m in Portugal. And now I’m in Spain.” When I was in Mexico, I went to the wall, touched it and imagined that I was touching the line on the map. 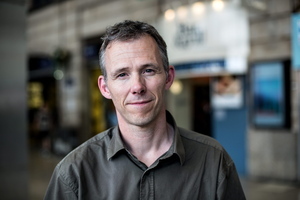 The European: Why do borders play such an important role in our heads? Evangelista: Borders themselves may just be lines, but crossing them changes many things. For example, you may find yourself in a totally different cultural surrounding with different religion, food, language or money. There is something magical about that line. Evangelista: Being born one meter to the right or to the left of this artificial line determines us. It is so bizarre to think that one kilometer can change all of your life. Evangelista: That is true. Borders have something intimidating about them. They are a line on which it gets decided whether the person wanting to pass is allowed to or not. It is a way to show power. The European: But within the Schengen area, they are no longer protected like they once were. What do you think happens when all border crossings have disappeared? Evangelista: Some of them should be preserved. Of course not to use them again but to keep them for all the young people who have never experienced the inner borders of Europe, in order not to forget the achievement of Schengen. This is all the more more important nowadays, because there are some who want to close the borders again. I took these photos in order to memorialize the former borders within Europe and to show something that should not happen again. Border between Rattersdorf and Köszegcs (Austria/Hungary). Copyright Ignacio Evangelista. The European: Do you think we appreciate the freedom of movement well enough? Evangelista: I think the older generation probably does, but younger people have to be made conscious about the fact that open borders weren’t a given before Schengen. I think that once you know that borders used to exist, it makes you appreciate the freedom of movement much more. The European: Lets talk about your photography. How did you pick out the specific borders you show in your images? Evangelista: I did some research on hidden places and planned a route through Europe. I contacted the cultural or tourist offices where the borders were to make sure the former checkpoints were still there. Sometimes they disappear without you finding out. People are normally quite helpful, some go out, check for me and send me pictures. Still: One time I went to some place and everything was gone. No more houses, border marks or anything. It had been removed one week before I arrived. The European: Is that feeling of erosion also why you show the old borders without any people in them? Evangelista: Well, borders on highways are frequented by many people, but at the old borders in small town you rarely meet anybody. These places are abandoned and out of order. They have had very specific functions, which do not exist anymore. Evangelista: I agree that the images are melancholic – but that doesn’t mean they are sad. I feel like melancholia is the right thing to feel, it is very different from nostalgia and my images certainly don’t express a longing for the past. 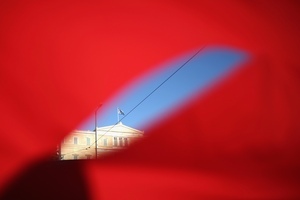 The European: You photos afford a very sober view on the borders, they are almost analytical. Isn’t this a topic that you are emotionally invested in? Evangelista: Well, I also work as a professional photographer, so I am used to various perspectives and angles. But when it comes to my own projects, I take my own point of view, a central angle. I like to just show the subject and let people decide whether they like it or not. The European: You are taking a step back? Evangelista: I previously did a series on zoos, where I showed the constructed environments zoo animals live in. For that, I use the same perspective. It is very easy to use crazy angles for pictures or to frame the objects in adventurous poses to make make them more dramatic. But I prefer a simple perspective that makes the subject look more realistic. This gives you a more intense, more real feeling than photos with exaggerated perspectives. The European: What do you mean? Evangelista: I once took a picture of a species of animals that normally lives in the desert. It was winter, they were outside and had a heat lamp. As long as they stayed underneath the lamp, they were ok. But once they moved over one meter they would die. This made for a nice picture that at the same time showed a lot of cruelty. The European: You encourage the reader to discover the drama in the frame. Evangelista: I don’t want the images to be crazy, but what they depict. To become interested in a topic, I usually have to find it somehow bizarre, crazy or strange. But I do not add any strangeness through my pictures, they are very neutral. And then you as an observer come into play, looking at it and deciding for yourself. Border between Ždarky and Pstrazna (Czech Republic/Poland). Copyright Ignacio Evangelista. 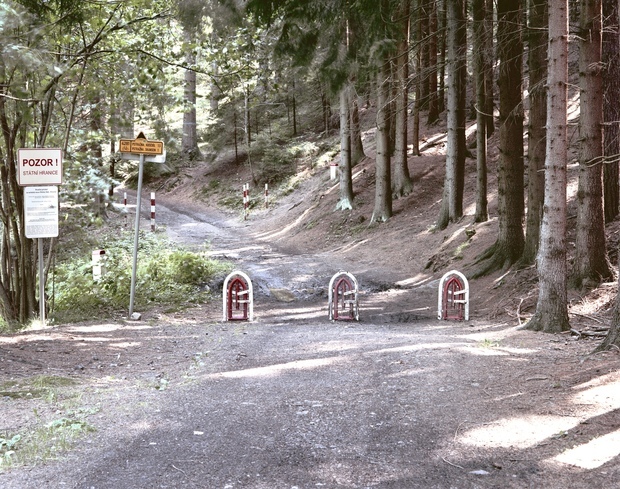 The European: The same effect is true for the images of the borders: Looking at some fortified crossings next to little paths in the forest makes the idea of delimiting a country seem so outlandish. Evangelista: For many things, we are used to the way things are. I don’t do photojournalism to expose these stories, but I find that taking a few minutes and looking at something with sober eyes lets us realize just how absurd reality can be. The European: Do you think the open borders are sustainable? With the refugee crisis, some government are reconsidering the abolishment of border checkpoints. Talking about Schengen borders my answer is yes, absolutely. Of course, there are problems with refugees and with other topics, but I believe strongly that there are more benefits than inconveniences, especially for the citizens of the Schengen area. The European: The open borders you show stand in stark contrast to the ones guarding the outer borders of the European Union. Aren’t those borders equally absurd? I want to believe that opening the outer borders of the EU is a matter of time, but there is still a lot of work to do. Part of the problem is the conditions of the countries immigrants come from. but their governments not always seem to be really involved, so what should the Europeans do, just to build a higher wall, like between US and Mexico? The European: You tell us. Evangelista: I am not a politician, the role of art is raise questions more than give answers and that is what I try to do. Yesterday I read a great sentence in a book of Claudio Magris, who is an Italian writer from Trieste, one of Europe’s best-known border cities: “Every identity is also a horror, because it owes its existence to tracing a border and rebuffing whatever is on the other side”. My ideal world would be a world without any border, but I am afraid that is a utopia, because of human nature. The idea of borders is absurd itself, but on planet Earth we are not still ready to get rid of them. Perhaps in some centuries, if we last that long. 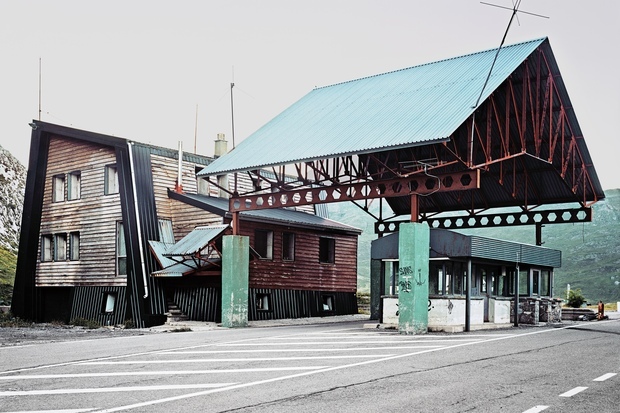 Ignacio Evangelista’s images "After Schengen“ are on display until the 17th of December 2015 at ProjektZentrum Berlin of the Mercator Foundation (Neue Promenade 6 10178 Berlin). The large-format images offer plenty of details to discover in person. Find dates and more information at this website. Born and raised in Valenica, Evangelista now lives in Madrid, where he works as a photographer. His works include both commercial assignments as well as personal projects that show the conflict between the natural and the artificial. Evangelista’s Twitter bio states “Shooting borders”, something he last did in Mexico to document the country’s border with the United States. Online protest against austerity: All for nothing? "Three-thirds of Conservative MPs are Eurosceptic"